Laura Castañeda is an award winning journalist, blogger, documentary filmmaker, media instructor, and career builder with over 25 years of experience in various multimedia platforms. 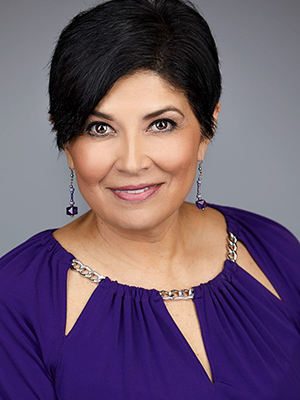 Castañeda previously taught in the Radio TV Film department at San Diego City College for almost twenty years, and served as Department Chair from 2010-2017. Prior to her position at City College, she worked in three different news markets (Chicago, San Diego, and Tucson, Arizona) and spent many years working on both sides of the international border in Nogales and Tijuana, B.C. Laura has held positions such as writer, assignment editor, field producer, reporter and news anchor. Ms. Castañeda is an Alumna of the University of Illinois-Urbana. She holds a Bachelor of Arts degree in English with a minor in Sociology. Castañeda has served on numerous boards of directors including CCNMA, Latino Journalists of California, and UNITY Journalists of Color. She is the proud mother of four children and is currently working on her first book, her first feature length and her first screenplay.